Chinese President Xi Jinping (R) shakes hands with Cambodian Prime Minister Hun Sen during the welcome ceremony for the Belt and Road Forum, at the International Conference Center in Yanqi Lake, north of Beijing, China, 15 May 2017. The Belt and Road Forum runs from 14 to 15 May, and is is expected to lay the groundwork for Beijing-led infrastructure initiatives aimed at connecting China with Europe, Africa and Asia. 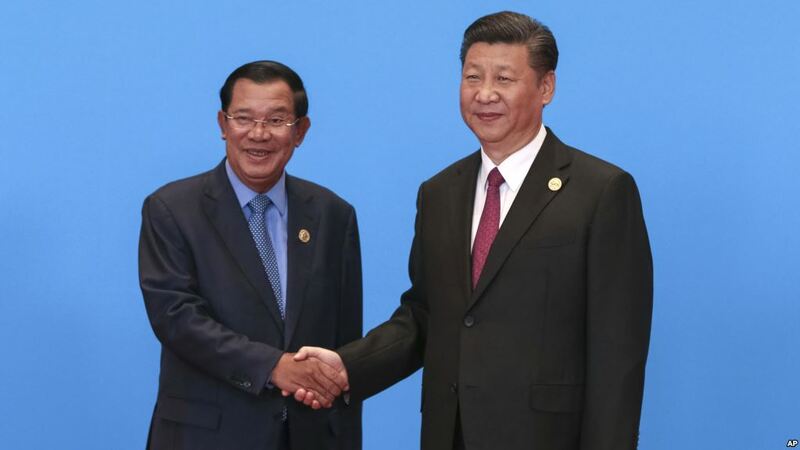 Phnom Penh – Long-time ruler Prime Minister Hun Sen last week tried to reassure Cambodians that the huge influx of Chinese investment and immigration into the country was good.